This weekend we were at at fab party at one of my favourite shops here in Paris, Lilli Bulle. It was the launch party for the new collection of Veja tennis shoes. My girls had the best time colouring in the massive art illustration, so I got to snoop around the lovely shop and find out more about Veja, a brand with a great environmental and ethical vision. The shoes are made out of organic cotton and eco-tanned leather in factories that respect their workers. One thing with ethically made goods is that they are always a bit pricer than high street brands, but the Veja tennis shoes are super well made and will last. I am really trying to buy quality over quantity (not always successfully….). You can find a list of stockist on the Veja website. 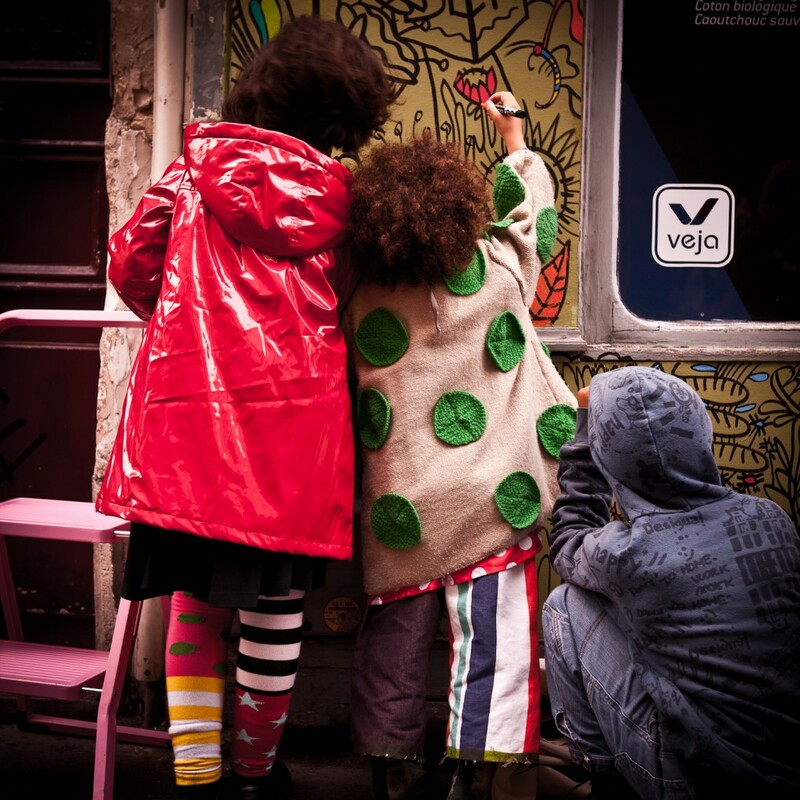 Below is a photo of the fab mural outside the Lilli Bulle shop we got to colour in! I have a pair of Veja – actually I didn’t know they were such a ‘good’ brand – I just really liked how they looked. Will check out kids versions! 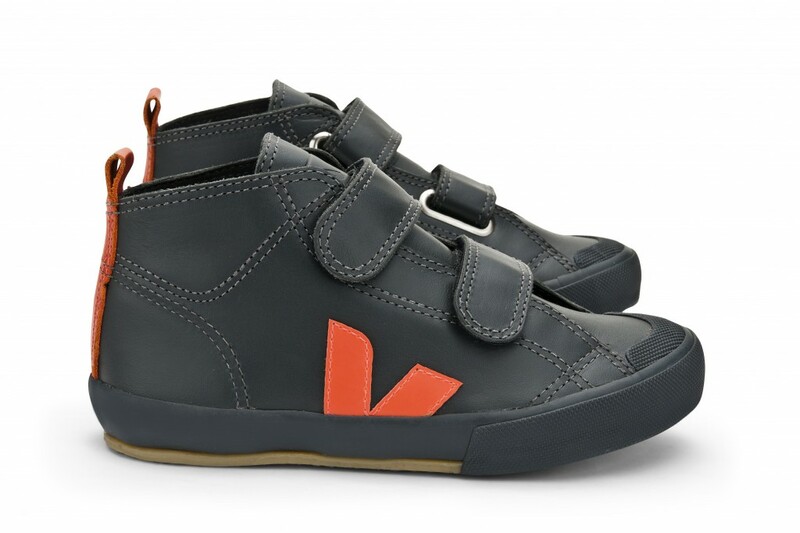 I love the Veja sneakers! We bought the first pair for our kids in Paris! I remember really debating whether to buy them because they were pricey. But… they have now lasted three children and are still going strong! So I suppose that is a real testament to the quality of these sneakers. I love that these have velcro — that’s super handy! p.s. I also have a pair of Vejas which have lasted nearly FOUR years and I wear them ALL the time!! !